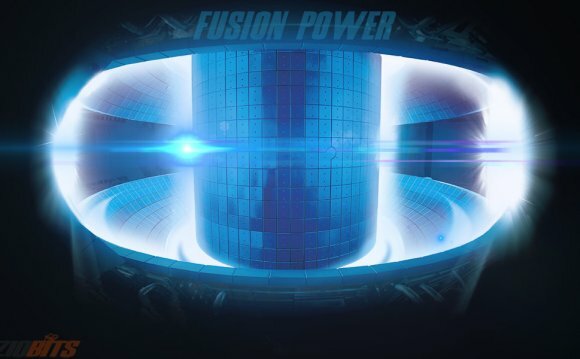 Long Island City could be powered by nuclear fusion reactors in the future.Lockheed Martin Corporation announced on Oct. 15 that their research team at Skunk Works has made a technological breakthrough in nuclear fusion that could change energy sources forever. The basic concept behind nuclear fusion is to extract the tremendous amount of energy released when atoms combine into more stable forms. The sun is one example of a nuclear fusion reactor because it fuses four hydrogen atoms into one helium atom in its core. When the hydrogen atoms fuse, not all of their combined mass goes into forming the helium atom — some of it is released as energy. The sun repeats this process millions of times a second for billions of years. Harnessing that power here on Earth could revolutionize our world. Reuters/NASAThe sun generates tremendous amounts of energy from the nuclear fusion reactions in its core. This is an image taken by NASA showing a solar flare at the center which are bursts of released energy.The way that Lockheed proposes to harness this nearly inexhaustible form of energy is to take a gas comprised of two kinds of hydrogen atoms — deuterium and tritium — and inject that gas into a containment vessel. They then add energy that strips the electrons from their host atoms, forming what is called an ion plasma. For a long time scientists didn't understand the process well enough to get more energy out than we put in. This ion plasma is extremely hot — billions of degrees Fahrenheit — and requires a strong magnetic field to constrain within the vessel. But if you can manage to sustain this plasma, the ions will eventually recombine and fuse with one another. This is how scientists and engineers produce nuclear fusion on Earth and is shown in the animation below. Your browser does not support the video tag. Scientists can create fusion on Earth by letting the atoms in extremely hot plasmas recombine. When the hydrogen ions fuse, they release energy, which is then captured in the form of heat that can then drive turbine generators producing power, shown below. Sounds simple, right? Your browser does not support the video tag. The energy released when atoms in ion plasmas fuse can be used to drive turbine generators and produce power. Actually, that process is relatively straight forward and well understood. The problem is that the energy used to sustain the plasma is just about equal to the energy you get out of the nuclear fusion. And breaking even makes no money in the energy business. What Lockheed has managed to do is develop a new way to constrain the plasma, using what is called a compact fusion reactor (CFR) with a specifically shaped magnetic field inside. The CFR can contain the plasma with less energy input by creating a self-regulating system, so when the plasma tries to expand — which would lower its overall energy and reduce the chance of nuclear fusion — the magnetic field fights back to contain it. So, the plasma actually works to contain itself. "In our case, it is always in balance, " Thomas McGuire told Aviation Week. Mcguire is leading the experiment and is an aeronautical engineer in the Skunk Work's unit, Revolutionary Technology Programs. "So if you have less pressure, the plasma will be smaller and will always it in this magnetic well."